Home » Teen Age Love: To Interfere or Not? My son is 17 years old and has Asperger’s Disorder. He attends a regular high school program and there is a girl in his homeroom class who he has sporadically tutored in math over the semester. She appreciates my son’s brains but I think he has mistaken her gratitude for affection. He talked obsessively for weeks about inviting her to the school Valentine Day Dance and I was frankly surprised when she actually agreed to go out with him. Now I’m fearful that he will inevitably embarrass himself on the date. I know that part of life is learning to grow through hard experiences, but how much do I interfere when it comes to my son who really is socially clueless? Doris H., Long Beach, CA. 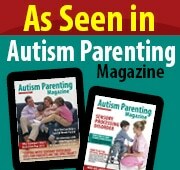 Asperger’s Disorder is what many developmental experts believe to be the highest form of functioning within the autism spectrum and is characterized by the severe inability of the impacted individual to comprehend social nuances while at the same time having the capacity for great academic intelligence. Teenagers with Asperger’s need more support than their neuro-typically developing peers. Consequently, I don’t consider your involvement as interfering. In fact, I recently had a very similar scenario play itself out in my office, when a dad brought his son with developmental delays to see me in anticipation of this young man’s first date. We took the opportunity and more importantly the motivation associated with going out, to address long standing social skill concerns. Together, the three of us came up with a list of concrete suggestions that I think you’ll find very helpful as you help your son navigate this new experience. Good Hygiene - Use your son’s motivation to succeed on his date to talk about good hygiene. Often, because of underlying sensory regulatory issues, adolescents with developmental delays can be tactilely defensive and reluctant to wash their bodies, shampoo their hair, use deodorant/cologne and/or shave on a regular basis. While he may not necessarily be bothered by his bodily odors, explain to your son how important it is to keep himself clean and neat and how by doing so he will make a good impression. Help him further, by creating a visual schedule that can be placed in the bathroom that charts how often he needs to take care of his personal needs. Many teens with developmental delays are visual learners and get very organized once they have a clearer ‘map’ of social expectations. Role- play the date with your son. By creating a step by step guide for the evening, you are giving an opportunity to practice and improve on what typically are very limited social skills. The advantage of you practicing with your son is that the information you will share with him, will in all likelihood be far more appropriate and accurate then the direction that he might receive from watching over sexualized sitcoms or dramas on TV. Supervision - All school dances need adult supervision. Arrange with your child’s guidance counselor that you, a close family friend or a school aide act as a chaperon for the evening. Again, you are not spying on your child’s first date, rather you presence will likely assure that if indeed something does go wrong, you are close enough to interject before there is a major social collision. Undoubtedly, there will be many bumps and bruises along your son’s social journey. And while we certainly can’t nor should we even try to protect from all of life’s hard knocks, it’s actually o.k. to offer a steadying hand along the way.